A web-based Decision Support System WebOptim for solving multiple objective optimization problems is presented. The system WebOptim is designed in a modular principle, extensively using XML as communication standard and web services. Its basic characteristics are: user-independent, multisolver-admissibility, method-independent, heterogeneity, web-accessibility. Core system module is an original generalized interactive scalarizing method. It incorporates a number of thirteen interactive methods. Most of the known scalarizing approaches (reference point approach, reference direction approach, classification approach etc.) are realized in this method. The Decision Maker (DM) can choose the most suitable for him/her form for setting his/her preferences: objective weights, aspiration levels, aspiration directions, aspiration intervals. This information could be changed interactively by the DM during the solution process. Depending on the DM's preferences form the suitable scalarizing method is chosen automatically. 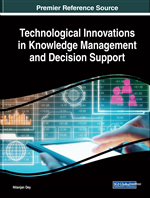 The chapter begins with an overview of Decision Support Systems (DSS). Examples of DSSs and their applications are discussed. The necessity of taking complex decisions in our life. The potential of contemporary Information Technology tools and Optimization and Decision Making methods in theoretical and practical aspects as well. In particular, the development of DSS considering multiple objectives in 80’s started when Multiple Criteria Decision Making (MCDM) theory takes up its own place in the science - http://www.mcdmsociety.org/. Below we present a short overview of some DSS. We divide DSS in two basic classes. The first one is DSS with general purpose. What we mean by that is that DSS is designed to solve some basic class of decision making problem having exact defined mathematical model – for example linear or nonlinear or linear integer problem possibly including multiple objectives etc. When using such DSS the user has to formulate in advance his/her decision problem in terms of corresponding decision making model and after that to solve it with the help of selected DSS. The second class are the DSS that are designed for solving a specific real problem – for example water resources management problem, or scheduling problem (job shop, flow shop) etc. This class of DSS we call specific purpose DSS or Problem Oriented MCDSS. The paper is organized further as follows. In the next three sections we discuss examples of DSSs and their applications. The last section concerns the proposed DSS WebOptim. The paper ends with the conclusion. Ruiz et al. (2015) presented a method based on the existing NAUTILUS method and called Enhanced NAUTILUS (E-NAUTILUS). This method borrows the motivation of NAUTILUS along with the human aspects related to avoiding trading-off and anchoring bias and extends its applicability for computationally expensive multi-objective optimization problems. In the E-NAUTILUS method, a set of Pareto optimal solutions is calculated in a pre-processing stage before the decision maker is involved. When the decision maker interacts with the solution process in the interactive decision making stage, no new optimization problem is solved, thus, avoiding the waiting time for the decision maker. A DSS for solving multi-objective Redundancy Allocation Problems (RAPs) is considered by Khalili-Damghani (2014). Initially, the technique for Order Performance by Similarity to Ideal Solution method is used to reduce the multiple objective dimensions of the problem. The authors propose an efficient ε-constraint method to generate non-dominated solutions on the Pareto front. Finally, they use a Data Envelopment Analysis model to prune the non-dominated solutions. A benchmark case is presented to assess the performance of the proposed system, demonstrate the applicability of the proposed framework, and exhibit the efficacy of the procedures and algorithms.